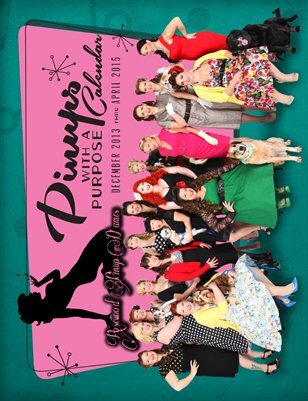 Rosewood Pinup Dames "Pinups with a Purpose" 1st ever calendar! To include all Dames who attended calendar shoot we've created a 17 month calendar for you all! A portion of proceeds will be donated by Rosewood Photography to local no kill animal shelters!